Oatmeal is a quick, healthy breakfast that is known for its fiber content, making you feel fuller for longer. Wholegrain oats are an excellent source of carbohydrates, providing the energy necessary for the body to function properly. Oatmeal has been a popular choice amongst breakfast items for many decades now. What you might not know is that oats have been known for their health benefits and healing properties since the 15th century. What is it about simple, plain oats that makes them so healthy? The saying that oatmeal “sticks to your ribs” has some truth to it. Oatmeal is known for its insoluble fiber content, making you feel fuller for longer. Fiber should be an essential part of one’s diet, as it supports gastrointestinal health, controls transport time and adds bulk to stools, thereby preventing constipation. Oatmeal has the largest amount of soluble fiber than any other grain in the form of beta-glucan. Beta-glucan works to maintain blood sugar by lengthening digestive processes, thus helping prevent insulin resistance in diabetics. In 2009, Italian researchers evaluated several existing studies about the positive health benefits of beta-glucan (Source: Rondanelli, Opizzi, and Monteferrario, Minerva Medica journal article). Their findings suggested that in addition to lowering cholesterol, beta-glucan also strengthens immune system responses against many varied microorganisms such as bacteria, fungi, viruses, and parasites. And if that’s not all, wholegrain oats are an excellent source of carbohydrates, providing the energy necessary for the body to function properly. One cup of oatmeal contains approximately 150 calories, 4 grams of fiber, and 6 grams of protein (Source: USDA National Nutrient Database for Standard Reference). Besides rich fiber content and low calories in oatmeal, each cup of oatmeal contains thiamine, magnesium, phosphorus, manganese, zinc, selenium, and iron. A study conducted at the Department of Internal Medicine and Nutritional Sciences Program at the University of Kentucky in 2009 found that higher consumption of oats correlated with substantially lower body mass index (BMI), blood pressure, and LDL-cholesterol and triglyceride values. According to the Harvard Medical School, incorporating oats into your daily food plan is a simple way to improve your cholesterol. Oat-cereals or a bowl of oatmeal contains 1-2 grams of soluble fiber. Soluble fibers lower body cholesterol by binding to the cholesterol particles in the digestive system, removing them from the body. Current nutrition recommendations (per Food and Nutrition Board, Institute of Medicine, National Academies) suggest a daily intake of 20-38 grams of fiber each day; at least 5-10 grams of which should be of soluble fiber. You should make an effort to consider the benefits of oatmeal and incorporate oats into your daily feeding routine. Not only are they a delicious, healthy alternative to sugary breakfast cereals, but they have an attractive benefit of protecting your long-term health. Rondanelli M, Opizzi A, Monteferrario F. The Biological Activity of Beta-glucans. Minerva Med. 2009;100(3):237-245. Anderson JW, Baird P, Davis Jr RH, Ferreri S, Knudtson M, Koraym A, Waters V, Williams CL. Health Benefits of Dietary Fiber. Nutrition Reviews. 2009;67(4): 188-205. Meydani, M. (2009). Potential health benefits of avenanthramides of oats.Nutrition reviews, 67(12), 731-735. Decker, E. A., Rose, D. J., & Stewart, D. (2014). 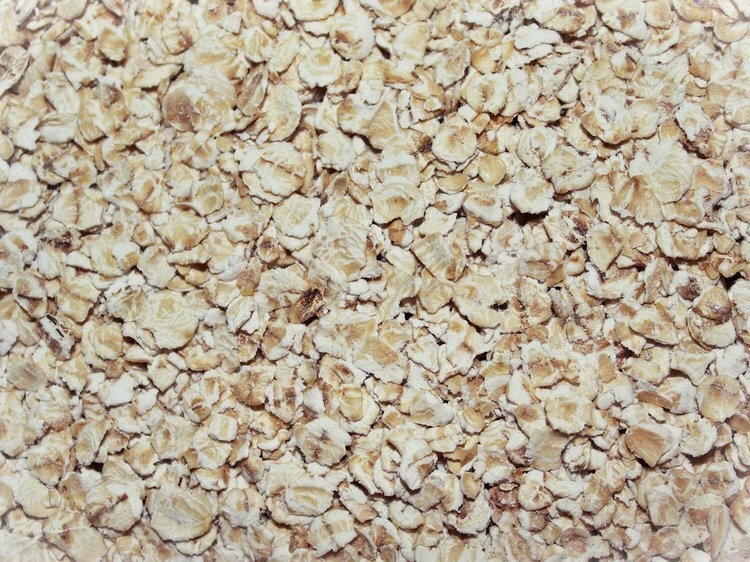 Processing of oats and the impact of processing operations on nutrition and health benefits. British Journal of Nutrition, 112(S2), S58-S64. Katz, D. L. (2001). A scientific review of the health benefits of oats. The Quaker Oats Company. Obtenido el, 15(4), 07.